A year has passed and it’s your mom’s birthday again. It was a year of memorable and fun family activities and maybe a couple or more scolding for being a mischievous child. But despite the ups and downs that you and your mom’s relationship has, you still love her for all that she is. She has raised you the best she can and loved you more than anyone could. She has been your light, guiding every step of the way in your life’s journey, and your comfort whenever life brings upon challenges that you have failed to conquer. 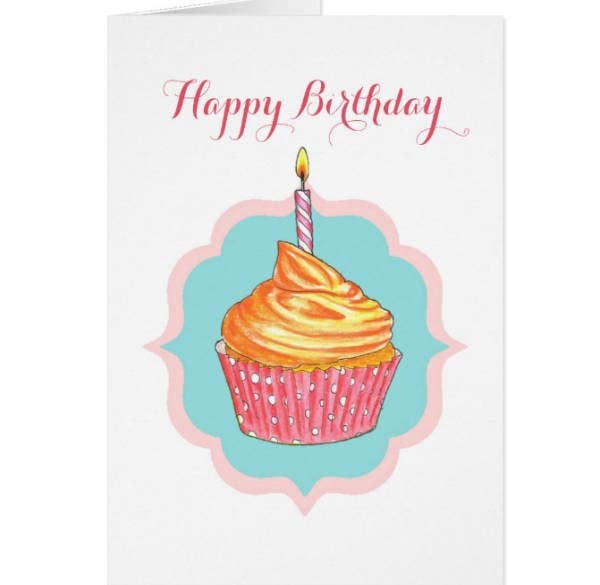 The special day of her birth is approaching, and what better way to welcome it than to give her a sample birthday card the moment the clock strikes twelve? Giving a birthday card is a prelude to everything that’s going to happen on her birthday. It contains your message of love and gratitude and maybe a bit of asking for forgiveness for the mistakes that you have committed. And since this birthday card is as special as your mother is, it needs to have a design that will be on par in value. 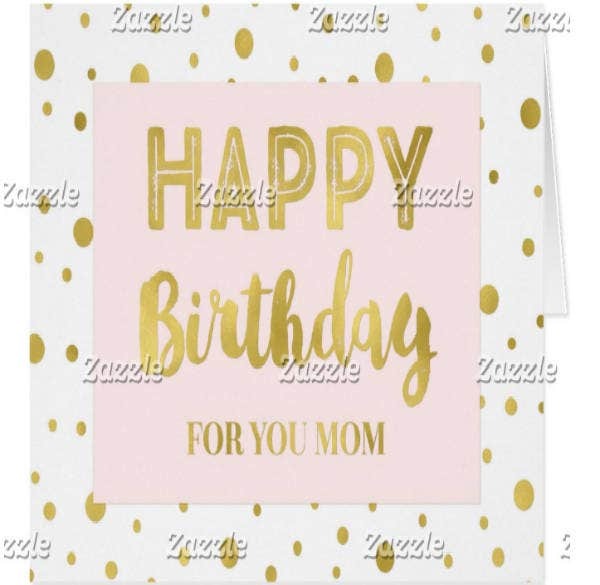 If you are looking for a creative, beautiful, and humorous birthday card for your mom, then you have definitely come to the right place. Below, we have prepared a collection of birthday card designs and templates that your mom will surely love. Check them out and choose which among them would be the best for your mom! Our mom has always been the one who prepares everything for us. From the moment we wake up in the morning until the curtains of the night are drawn, she attends to our needs as much as she can. Needless to say, she’s doing it because she loves us so much that she would even disregard her time for self-care just to give us the attention that we need. This selfless love is incomparable. It is a kind of love that can only be given by our mom and we are blessed that we get to receive it. You may also see mother’s day cards. Now that her birthday is coming, it is our time to make her feel that we are grateful that she was given birth into this world; otherwise, we wouldn’t be able to experience what it is to have her as our mom. Normally, a variety of gifts are given. You can buy her something that she badly wants, take her on a trip, have a special dinner in a restaurant, or simply give her a birthday card. 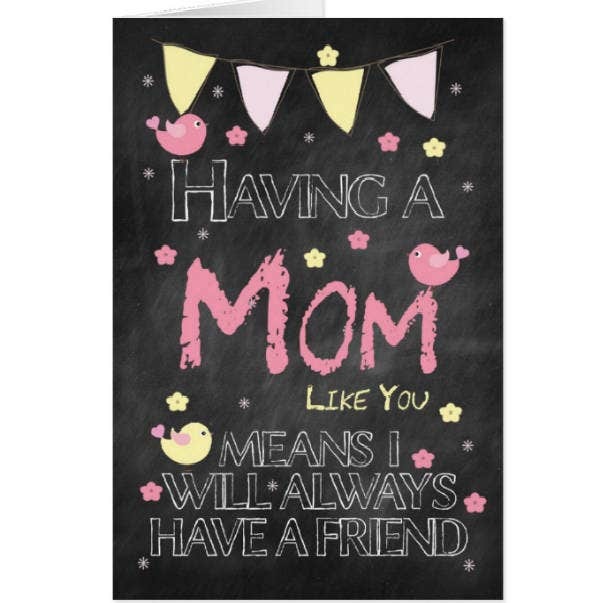 You may be wondering why a card as simple as this is counted as an option to give to your mom. It may only be a card, but when created skillfully and wholeheartedly, it can become a card that your mom wouldn’t trade for anything. You may also see e-mail birthday cards. 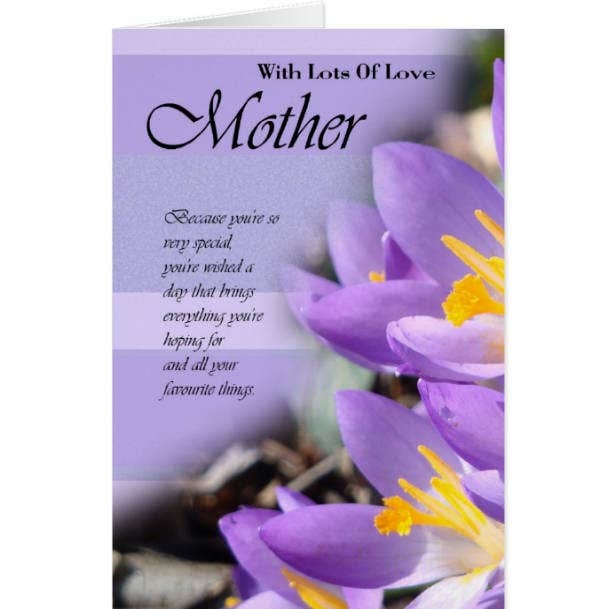 As we said, a birthday card is a special card that contains a personal message that you want your mom to read. The message can be anything. It can be a message of gratitude for everything that she has done for you, for being there when you needed a companion and a guide. Additionally, it can be a message of apology for all your shortcomings and bad decisions in life. You can write a poem, dedicate a song to her, or anything that you think will be able to fully express your love for your mom. You may also see printable birthday cards. With the message that you have personally composed, the card design will become a hundred times more valuable than it originally is. It will make her feel that her love has reached you, that her efforts in guiding you to be the person you are today has paid off. The birthday card, no matter how minimal or extravagant it is, can become the best gift that she receives that day and probably in her lifetime. Sometimes, it’s the simplest of things that have the biggest impact. The birthday card that you have specifically made for her speaks about how thoughtful and caring you are that you dedicate time and effort to it. For you, it might be a simple art and craft that you wanted to do for your mom’s day, but for your mom, it’s a treasure worth keeping. 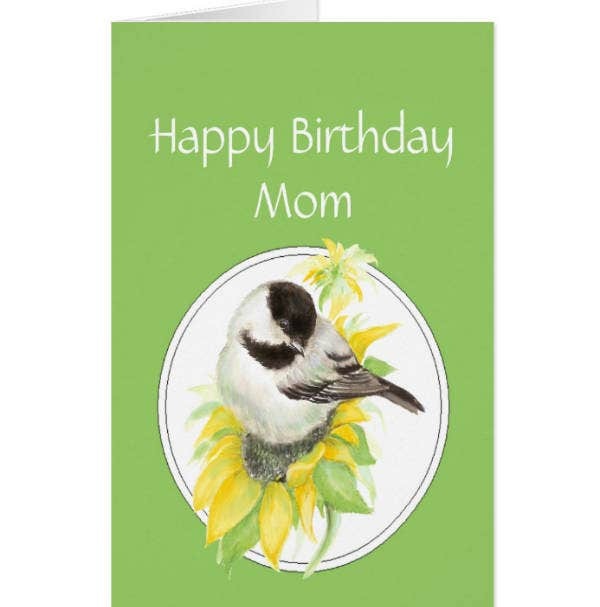 Give your mom a birthday card for her birthday. Make her happy, make her feel loved. You can create a card of your own, start from an idea and flourish it from there. But if want an easier route, you can purchase and download a template for your birthday card. To convince you in using a template, read some of the reasons below that will help you decide on taking the templates. You may also see birthday card designs. Compared to starting from scratch, a pre-made template already has everything that you need for the design. Text? Check. Images? Check. Color coordination? Check. Arrangement? Properly done. The only thing left for you to do is to edit some of the details of the card, like placing the name of your mom and your personal message inside the card. Moreover, you can change the colors and choose other combinations if the default doesn’t suit your taste. You may also see blank birthday templates. Changing these elements consume less time than working on a blank canvass. But, of course, even if the template is pre-made, you still need to put your personal touch for the card to have distinction among others. You are not the only one using the template, so it would be best to sprinkle a bit of your personality on it for it to stand out. You may also see birthday cards in a word. These templates are in digital format, so expect that you can edit and customize them. Its customizability allows you to change whatever element that you might want to change or remove from the design. Want to change the color of the background? Go ahead. Don’t like the font of the text? Select the text and change the font and even the size and color. This freedom is exclusively given to people who purchase the template, so you should prepare your creativity and wallet for it. You may also see free birthday card templates. Not all templates have stunning designs. But rest assured that the ones we gathered are of standard quality. They are chosen from the most reliable sources with the most talented graphic designers. You may have already noticed from the start of the list that they don’t come cheap in quality. The graphic designers are as creative as they can be and they don’t skimp out on manifesting the beauty of their creations. Pre-made templates are normally sold at a certain price. Of course, since the graphic designers allocated much of their time to it, it is expected that they should reap their benefits. You may think that the templates are sold at a high price since premium templates are always associated with it. That may be true to some of the templates, but the majority of them are affordable. They don’t dig deep down in your pocket and will only cost you a few bills. You may also see creative greeting card designs. The templates are all digital, so they can be accessed online anytime and anywhere you want as long as you have an Internet connection. You can use your smartphone, computer, or laptop to view them. Go through each of the templates so you can come up with an informed decision in the end. Once you have chosen a template that you want to use, you can go through the purchasing process and download the template. You may also see typography birthday cards. We all want our mom to be happy on her birthday. We want to make her feel special like the queen she is. Send her a birthday card with a sweet message or something that will make her smile to no end. It’s a great way to spread happiness as her day starts! You may also see greeting card examples. We hope this article helped you in choosing the right birthday card for your mom. Bookmark this page and share it with your friends who would also like to create a birthday card for their mom. May your mom have a blast on her special day and may you continue to make her happy! Enjoy! You may also see word format birthday templates.